Thank you Red Arrows for a fabulous display. Well timed shot..... They certainly do put on a spectacular show. 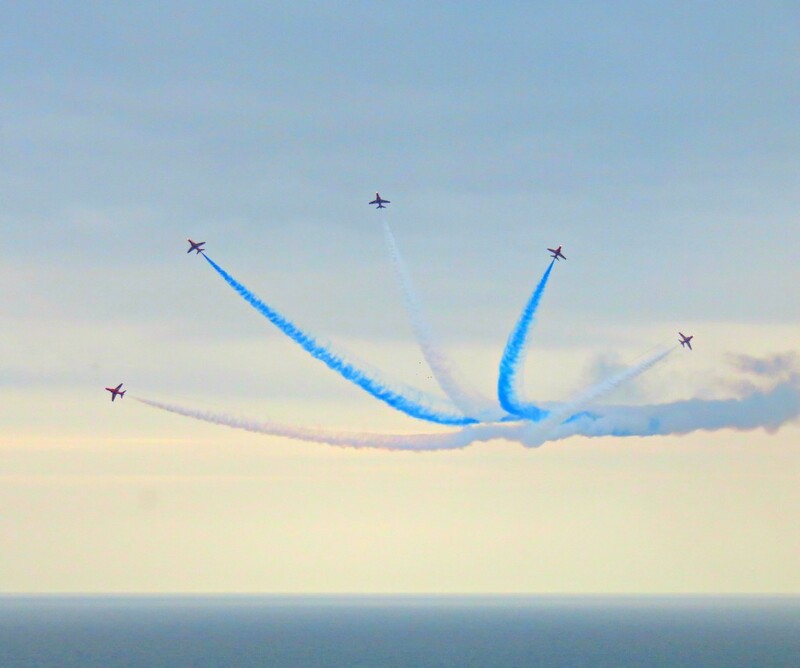 Excellent shots Lesley, I love the Red Arrows, makes me proud to be British. I can take no credit, the Red Arrows did all the work!